SkinStore.com offers the Sunday Riley Power Couple Kit (Worth $105.00) for $63.75 via coupon code FF25 . Free shipping. 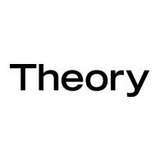 Theory just launched Flash sale featuring Up to 70% off spring essentials and new styles, online only! Free shipping. 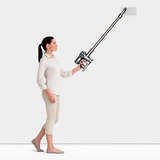 Best Buy offers the Dyson V6 Animal Cord-Free Stick Vacuum for $199.99. Free shipping. 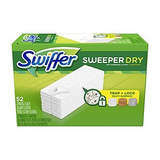 Features: Its direct-drive cleaner head runs the bristles to deeply clean carpets, and its mini motorized tool lets you clean upholstery and crevices in handheld mode. 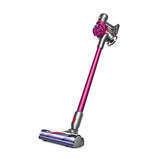 This versatile Dyson Animal cordless vacuum works on hard floors and ceilings for all-around performance. 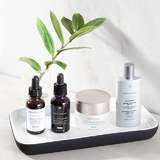 Sephora.com offers the Lancome Bi-Facil Home & Away Set for $52. 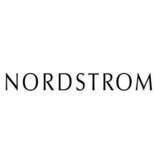 Plus, get 7 free fragrance samples and BITE lipstick with $35+ purchase, via coupon code SEVENSCENT . OR, get free Kiehl's Clearly Corrective Dark Spot Solution Sample Set (7 x 1.5ml) with $35+ purchase, via coupon code BEBRIGHT . 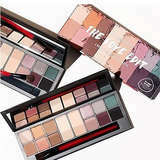 OR, get free Fenty Beauty by Rihanna trial size in the shade of your choice $25 purchase, via coupon code PROSET . OR, get free Laura Mercier Rouge Essentiel Lipstick trial size in Classic Red with $25+ purchase, via coupon code STAYBOLD . Register or login in Beauty Insider members first. 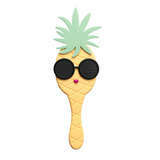 Get 2 free samples with every order. 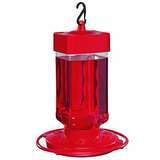 Free shipping for VIBR. Free shipping for BI and VIB on orders over $50. 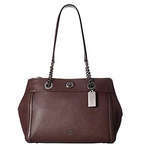 6pm offers COACH Pebbled Brooklyn 28 Carryall, only $187.99, free shipping on orders over $50. 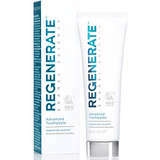 SkinStore offers ​15% OFF SkinCeuticals via coupon code skinc15, Free shipping on orders over $49. 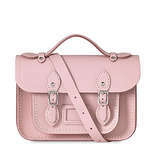 The MyBag offers The Cambridge Satchel handbags 40% OFF via coupon code: CSC40, free shipping on orders over $40. Free worldwide delivery available. 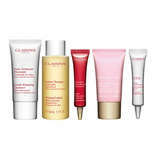 Clarins US official website now offers $88 value 6-pc beauty gift with $100+ purchase via coupon code: EARTH19. 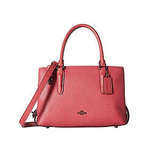 Free shipping in US with $75 purchase. 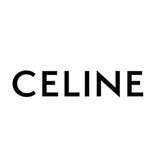 24 Sevres offers Celine Products New Arrivals. 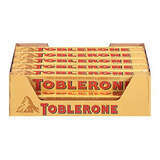 Free delivery new conditions. Delivery is now free on all orders over 200$/€/£. 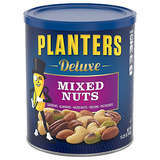 Exception on the US, where shipping is always FREE OF CHARGE, with no minimum spend. 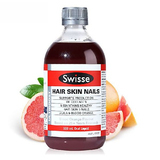 Amazon has ​Swisse Ultiboost Hair Skin Nails Liquid, 500ml for $13.91. 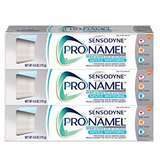 This is the lowest price we've seen on Amazon. Free shipping on orders over $25. 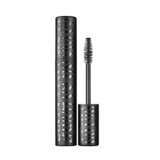 Kat Von D official website now has Go Big or Go Home Mascara launches! Free shipping in US for a limited time. Go Big or Go Home Mascara is an extreme volume vegan mascara, powered by plant-based fats. 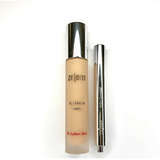 This extreme long-wear formula has a creamy texture that glides onto lashes for big, blown-out volume, delivering an eye-opening effect that lasts all day and actually doesn't smudge or flake. Extreme volume vegan mascara, powered by plant-based fats Long wear Packed with a blend of olive & sunflower oils Fluff Brush catches & coats for big volume & full coverage Smudge-and flake-resistant In ultra-intense "Trooper Black". Amazon.com offers the Makeup Vanity Mirror LED Lighted for $16.99 via coupon code R37TDQV8 . Free shipping on orders over $25. Introduction： Double-sided Mirror for That Flawless Look Meet all your makeup needs with the Anjou Lighted Makeup Mirror. Show your beautiful profile in the standard mirror or reveal all your features with the 7x magnification mirror so that every part of your face is made perfect. 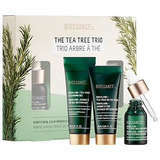 Sephora.com offers the BIOSSANCE The Tea Tree Trio for $29. 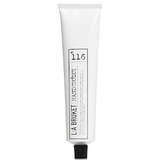 Plus, get 7 free fragrance samples and BITE lipstick with $35+ purchase, via coupon code SEVENSCENT . OR, get free Kiehl's Clearly Corrective Dark Spot Solution Sample Set (7 x 1.5ml) with $35+ purchase, via coupon code BEBRIGHT . 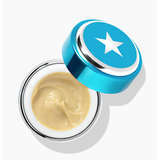 OR, get free Fenty Beauty by Rihanna trial size in the shade of your choice $25 purchase, via coupon code PROSET . 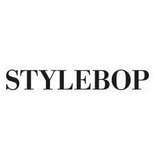 OR, get free Laura Mercier Rouge Essentiel Lipstick trial size in Classic Red with $25+ purchase, via coupon code STAYBOLD . 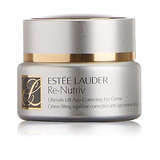 Register or login in Beauty Insider members first. 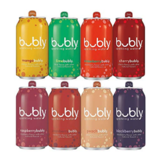 Get 2 free samples with every order. 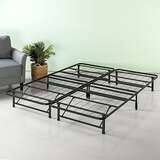 Free shipping for VIBR. Free shipping for BI and VIB on orders over $50. 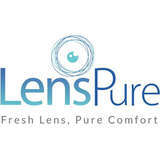 LensPure now offers 15% OFF sitewide via coupon code: SAVV, plus free shipping in US with yoru $78 purchase. 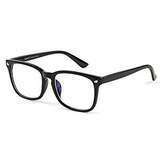 No prescription needed. 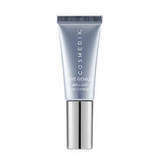 SkinCareRx offers ​COSMEDIX EYE GENIUS BRILLIANT EYE COMPLEX for $49 via coupon code FF30, Free shipping on orders over $49. GlamGlow offers ​THIRSTYMUD™ MASK for $39.5 via coupon code MEGAPICK, Free shipping. 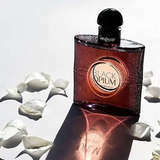 Perfumania offers the YVES SAINT LAURENT BLACK OPIUM FOR WOMEN BY YVES SAINT LAURENT EAU DE PARFUM SPRAY for $69.96. Free shipping on orders over $55. 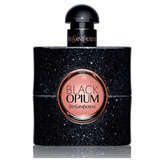 Amazon.com offers the Yves Saint Laurent Black Opium Women's Eau de Toilette Spray, 1.6 Ounce for $59.2. Free shipping. 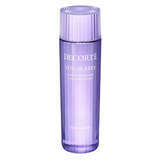 SkinStore.com offers 25% off Decorté Vita De Rêve Lotion via coupon code wemissyou . Free shipping on orders over $49. 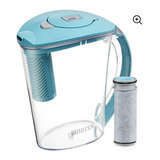 Imomoko now offers ​Pour-A-Soigne Aqua Queana Clean Platinum Led only for $88. 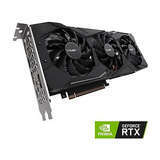 Free shipping in US with $99. Walgreens offers the U by Kotex Barely There Pantiliners Unscented, Thin for $1.99. Free shipping on orders over $35. 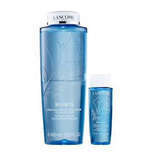 Imomoko now offers ​30% OFF Erno Laszlo Hydra Therapy Skin Vitality Treatment (28 Pack), no code needed. 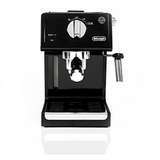 Free shipping in US and no tax for most states( exclusive CA). Free shipping to China. 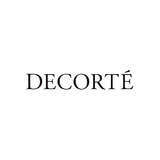 SkinStore now offers 25% OFF Decorte Skincare Products，need to use coupon code: WEMISSYOU. 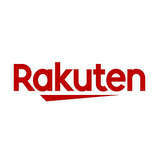 Free shipping in US with your orders over $49. 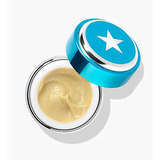 Sephora.com offers the MARC JACOBS Glow Maintenance Set for $69. 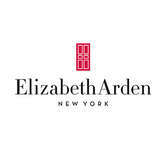 Plus, get 7 free fragrance samples and BITE lipstick with $35+ purchase, via coupon code SEVENSCENT . 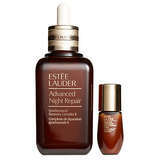 OR, get free Kiehl's Clearly Corrective Dark Spot Solution Sample Set (7 x 1.5ml) with $35+ purchase, via coupon code BEBRIGHT . OR, get free Fenty Beauty by Rihanna trial size in the shade of your choice $25 purchase, via coupon code PROSET . 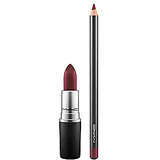 OR, get free Laura Mercier Rouge Essentiel Lipstick trial size in Classic Red with $25+ purchase, via coupon code STAYBOLD . 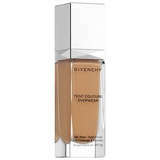 Register or login in Beauty Insider members first. 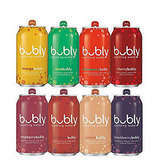 Get 2 free samples with every order. 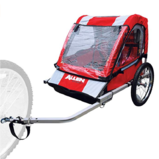 Free shipping for VIBR. Free shipping for BI and VIB on orders over $50. 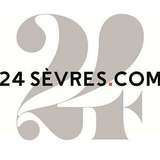 Clarisonic offers 47% off on Clarisonic + La Roche Posay Purifying Set & Clarisonic + La Roche Posay Hydrating Set for $129. Free shipping. 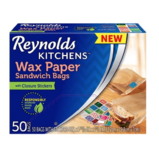 Deal ends 5/31. 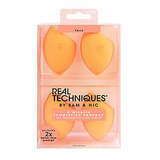 Amazon offers Real Techniques 4 Miracle Complexion Sponges Set for $10.79 plus free shipping on orders over $25. 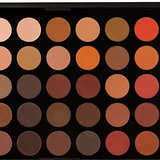 Revolutionize your makeup routine. 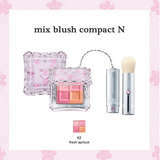 It's a 3-in-1 multi-functional makeup sponge. 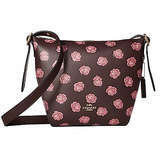 Gilt City offers the $20 off $60 + Free Makeup Bag. 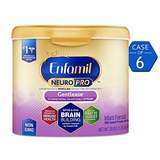 Deal ends 5/6. 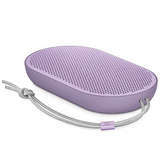 Amazon.com offers the Clarins Body Fit Anti-Cellulite Contouring Expert for Women, 6.9 Ounce for $37.01. Free shipping with purchase. 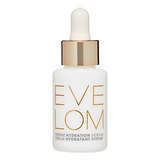 Walmart offers the $59 Eve Lom Intense Hydration Serum for $59. Free shipping on orders over $35. SkinStore offers Elta MD UV Clear Broad-Spectrum SPF 46 for $24.37 via coupon code ​SKIN25, Free shipping on orders over $49. 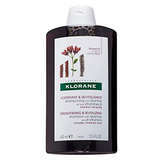 SkinStore offers Elta MD Foaming Facial Cleanser for $18.38 via coupon code ​SKIN25, Free shipping on orders over $49. 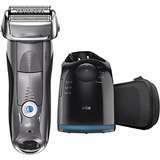 Silk'n now offers Glide 150K Hair Removal Device 50% OFF, no code needed. 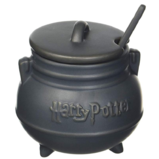 Plus free shipping in US when you buy this. Discover how easy and comfortable it can be to remove hair on your legs, underarms, bikini line and face (below the cheekbones) with the simple press of a button. That's the Silk'n Glide. 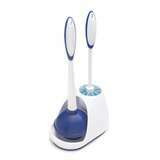 It's stylish and compact, so you can easily conduct treatments at home or on the go. 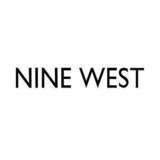 Nine West offers selected heels all for $50. Free shipping on orders over $69. 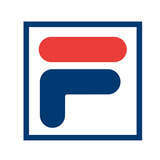 Fila is having 15% OFF sitewide + free shipping with our exclusive coupon code: 15DEALEASTER. 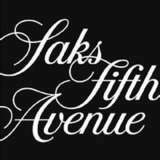 Saks Fifth Avenue offers get $50 off every $200 spend, up to $500 off Fashion Sale, via coupon code HAPPYSAKS . Not valid on pre-order items or international orders. 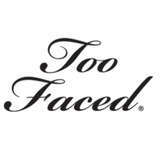 Excludes beauty & fragrance. Designer exclusions apply. 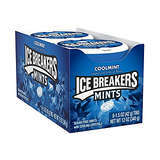 Free shipping, via coupon code FREESHIP . 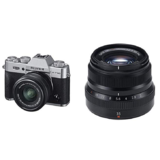 Deal ends 4/19 at 11:59 PM (ET). 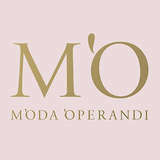 Moda Operandi offers 30 % OFF Select Items via coupon code ​SPRING30 ,Free shipping. 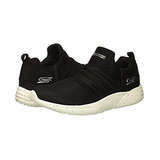 Amazon.com offers the Skechers BOBS Women's Bobs Sparrow-Moon Lighter Sneaker from $25.37. Free shipping. Shoes.com offers Dr. Martens 101 6-Eye Boot for $29.95, Free shipping . Levi's offers 30% OFF Sitewide via coupon code ENJOY ,Free shipping on orders over $100. 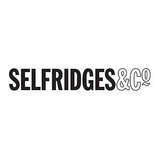 Extra 20% Off Sale up to 80% Off with Code OUTLET20 at 24 SÈVRES. Shipping is free. 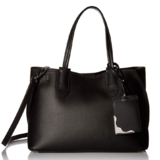 15% Off bags selection with code : BAGLOVER, brand including: Danse Lente, Staud, N21, Bottega Veneta, Sensi Studio, Max Mara, Valentino, Jacquemus, Clare V and many more. 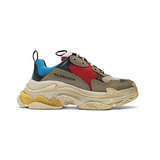 Matchesfashion has BALENCIAGA Triple S low-top leather trainers for only $597 with new customer code: NEW15. Shipping is free. Matchesfashion has GUCCI Brixton leather loafers for only $1462. Shipping is free. 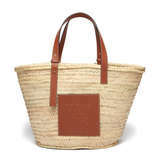 Matchesfashion has LOEWE Large woven basket bag for only $300 with new customer code: NEW15. Shipping is free. 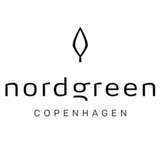 Nordgreen US offers 20% OFF Sitewide with code: WATCH20. Shipping is free. 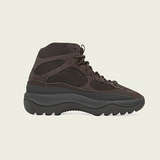 Adidas will has Yeezy Desert Boot Oil new released for $200，comming at 4/20 10a.m. ET. Free shipping. 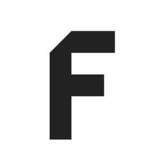 Farfetch offers Extra 30% Off AW18 and Sale Items via coupon code FF2019 . Restrictions apply. Shipping fee is depending on your location. 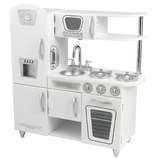 Deal ends 4/30 03:59. 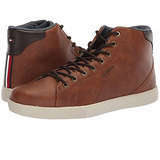 5pm offers ECCO Collin 2.0 Trend Sneaker, only $67.99, free shipping on orders over $50. 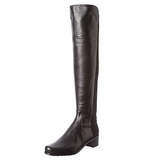 Amazon.com offers the Stuart Weitzman Reserve Boot for $422.10. Free shipping with purchase. 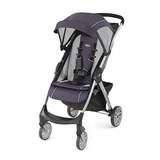 6pm has Tommy Hilfiger Talis, only $27.99. Shipping is free. 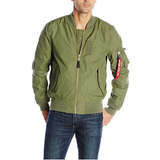 Amazon.com offers Alpha Industries Men's MA-1 Skymaster Jacket for $85.93. 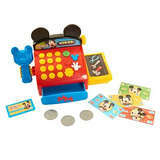 Free shipping with purchase. 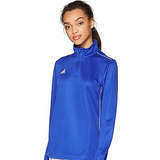 Amazon.com offers the adidas Women's Core18 Training Top for $18.26. 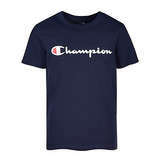 Free shipping on orders over $25. 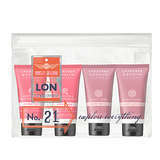 6 pm now offersASICS GEL-Sonoma 3, only $24.99. 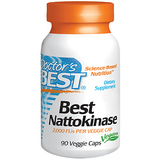 Free shipping in US with $50, or shipping fee is $3.95. 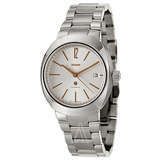 Ashford offers an extra 20% off Rado Women's Diamaster Watch R14063727 for $889 via coupon code SPRING19 . Free shipping. Deal ends 4/23. 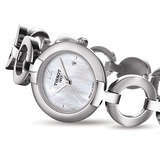 Features: Rado, Diamaster, Women's Watch, Ceramic Case, Ceramic Bracelet, Swiss Quartz (Battery-Powered), Water Resistance 50 m (165 feet). 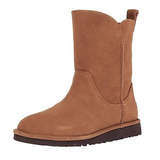 Amazon.com offers the UGG Women's Alida Slouch Boot for $47.18. Free shipping. 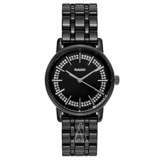 Ashford offers the Rado Men's D-Star Watch Model: R15513113 for $469 via code SPRING19 . Free shipping. Deal ends 4/23. 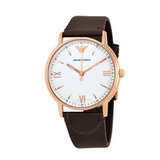 Features: Stainless Steel Case, Stainless Steel Bracelet, Date at 3 o'clock, Swiss Mechanical Automatic (Self-Winding), Sapphire Crystal Scratch Resistant, Water Resistance:100 m (330 feet). 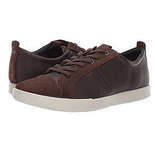 Amazon.com offers the adidas Performance Stan Smith J Tennis Shoe (Big Kid) for $34.45. Free shipping. Since it debuted as a streamlined court shoe in the early '70s, the stan smith has become an icon of clean, everyday style. 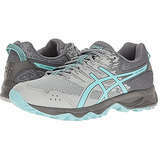 Just for juniors, these shoes preserve its famous details, like a smooth leather upper and perforated 3-stripes. 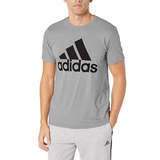 Amazon.com offers the adidas Men's Athletics Badge Of Sport Tiny Script Tee for $14.96. Free shipping on orders over $25. 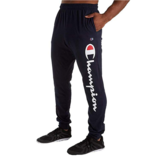 Amazon.com offers the adidas Women's Essentials Linear Pants for $29.90. Free shipping. 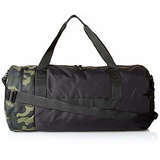 Amazon.com offers the Under Armour Unisex Lifestyle Backpack for $20.21. Free shipping. Walmart offers the ACE Brand Compression Knee Support, Small / Medium for $5.15. Free shipping on orders over $35. 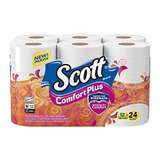 Walmart offers the Summer's Eve Island Splash Cleansing Cloths - 16 cloths for $1.72. Free shipping on orders over $35. 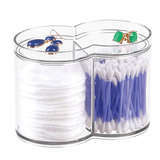 Amazon offers InterDesign Clarity Plastic Stackable Makeup and Cosmetic Storage Canister for $4.72 plus free shipping on orders over $25. Dual canister is perfect for storing daily essentials like cotton swabs, q-tips, makeup brushes, hair accessories, cosmetics, and more. 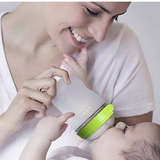 Included lid provides extra storage for smaller items such as nail polish, perfume bottles, jewelry, and hair clips. 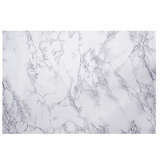 Ideal for use in bathroom, bedroom, kitchen, office or on your vanity, desk, nightstand, or dresser. 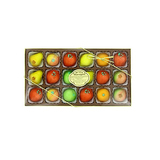 Amazon has Bergen Marzipan M-1 Assorted Fruit, 8 Ounce on sale for $8.60 via Subscribe & Save to check out. Made from Almond paste and sugar. Bursting with assorted fruit flavor, these fruit flavored snacks will sure to delight everyone in the house. Made with real fruit juice, natural flavors and colors and daily dose of vitamin C.
Walmart offers the Kiinde Twist Pouches (6 oz - Pack of 40) for $6.99. amazon offers the same price. Free shipping on orders over $35. 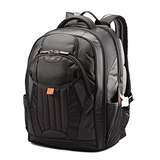 Buydig.com offers the Samsonite StackIt Plus 2 Piece Stackable Luggage Set for $99 via coupon code 1680D . Free shipping. Woot! 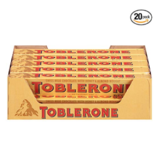 offers the DOVE 100 Calories Milk Chocolate Candy Bar 0.65-Ounce Bar 18-Count Box for $8.16. 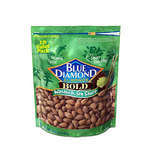 Free shipping for Amazon Prime member. Deal ends 4/26. Feature: DOVE Dark and Milk Chocolate 100 Calories Candy Bars are a pocket-sized treat with all of the flavor and luxury of full-sized DOVE Chocolate Bars. 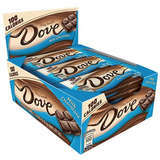 Made with real DOVE Chocolate, these bars taste great and are 100 calories per pack. Treat yourself to one for a simple dessert or a midday treat. 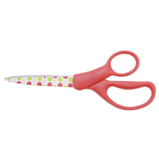 Their size makes them ideal for carting around in your workbag or purse. Enjoy the luxury of DOVE Dark and Milk Chocolate with the ease and convenience of individually wrapped 100-calories candy bars. 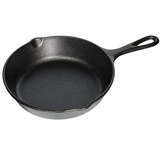 Walmart offers the Lodge Logic 8" Seasoned Cast Iron Skillet for $9.9. Free shipping on orders over $35 or free pickup in store. 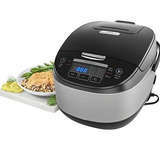 Best Buy offers the Chefman Electric Egg Cooker for $9.99. Free shipping on orders over $35. 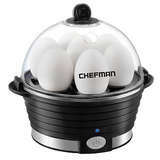 Features: Prepare boiled eggs easily with this compact Chefman egg cooker. The six-egg capacity makes it simple to cook breakfast for the whole family or create a tray of deviled eggs quickly, and the dishwasher-safe accessories ensure easy cleanup. 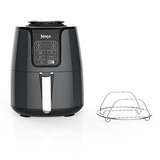 This electric Chefman egg cooker automatically shuts off after use for enhanced safety. 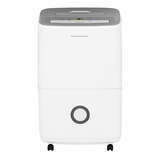 Best Buy offers the Frigidaire - 50-Pint Dehumidifier - White for $149.99. Free shipping. 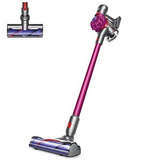 Newegg offers the Dyson V7 Motorhead Cordless Vacuum（REFURBISHED） for $156.99. Free shipping. 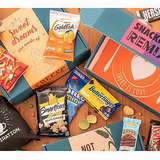 Our Campus Market offers 20% OFF College Cravings Care Packages via coupon code Spring20， Free shipping. 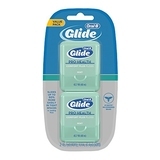 Amazon.com offers the U By Kotex Ultra Thin Teen Wing Pads 16 for $3.30. Free shipping on orders over $25. Amazon offers ​Dyson V7 Motorhead Cordless Stick Vacuum Cleaner - Fuchsia for $233.09 plus free shipping. ​Up to 30 minutes' run time when using a non-motorized tool. 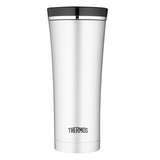 ​Lightweight and versatile, for easy home cleaning. Instant-release trigger means battery power is only used while it’s cleaning. 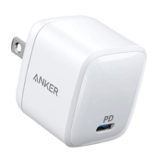 Requires charging for 3.5 hours minimum before first use. 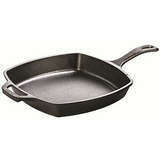 Amazon.com offers the BELLA 12 x 12 inch Electric Skillet with Copper Titanium Coating, 1200 Watts for $19.99. Free shipping on orders over $25. 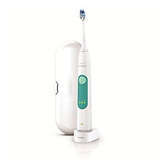 Amazon.com offers the Philips Sonicare 3 Series Gum Health Rechargeable Electric Toothbrush for $46.99. Free shipping. 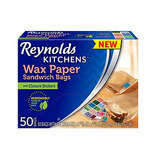 Amazon.com offers the d-c-fix Decorative Self-Adhesive Film for $6.63. 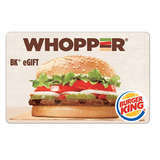 Free shipping on orders over $25. 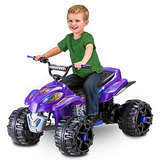 Walmart offers the Kid Trax Marvel Guardians of the Galaxy 12V Quad, Purple for $79. Free shipping. 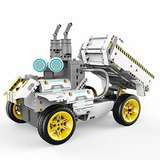 Features: Goes in forward and reverse at 2.5 MPH with the option to go forward at 5 MPH for maximum overdrive; Power Trax rubber traction strip tires and real foot pedal acceleration create a lifelike driving experience; Sits one rider between the ages of 3 and 7 with a maximum rider weight of 95 lbs. 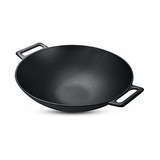 Amazon.com offers the Cast Iron Shallow Concave Wok, Black - by Utopia Kitchen for $16.99. Free Shipping on orders over $25. 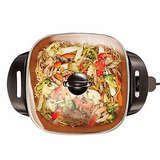 Features: 12 inch wide Cast-Iron wok offers ample size for many recipe and cooking with a wok is a fast and easy way to prepare food; Woks are used in a range of different cooking techniques including stir frying and pan frying being the most common methods. Amazon offers Insonder Resistance Bands Set Exercise Bands for $7.99 plus free shipping on orders over $25. 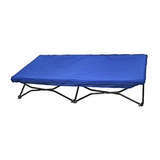 Walmart offers the Regalo My Cot Portable Toddler Bed, Includes Fitted Sheet and Travel Case, Royal Blue for $25.99. Amazon offers the same price. Free shipping on orders over $35. 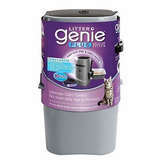 Amazon.com offers the Litter Genie Plus Pail Silver for $16.19 via Clip 10% Off Coupon. Free shipping on orders over $25. 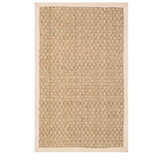 Overstock offers the Safavieh Natural Fiber Marina Natural/ Beige Seagrass Rug - 3' X 5' for $37.49. Free shipping on orders over $45. 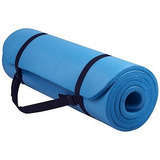 Walmart offers the Everyday Essentials All-Purpose 1/2-Inch Yoga Mat for $12.99. Free shipping on orders over $35. Walmart offers the Call of Duty: Black Ops 3 Zombie Edition PS4 / Xbox One for $12.99. Free 2-day shipping on orders over $35. Features: Call of Duty: Black Ops III Zombies Chronicles Edition includes the full base game and the Zombies Chronicles content expansion. 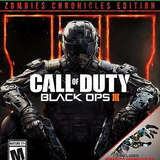 Call of Duty: Black Ops III combines three unique game modes: Campaign, Multiplayer, and Zombies, providing fans with the deepest and most ambitious Call of Duty ever. The Zombies Chronicles content expansion delivers 8 remastered classic Zombies maps from Call of Duty: World at War, Call of Duty: Black Ops and Call of Duty: Black Ops II. Complete maps from the original saga are fully remastered and HD playable, within Call of Duty: Black Ops III. 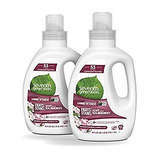 Amazon.com offers the Seventh Generation Concentrated Laundry Detergent, Geranium Blossom & Vanilla, 40 oz, 2 Pack (106 Loads) for $13.83 via coupon code 7Glaundry and clip "extra 30% off" coupon. Free shipping. 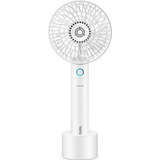 NeweggFlash offers the Tatung USB 3-in-1 Mini Fan and Power Bank for $6.99. Free shipping. 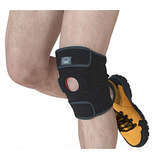 Amazon.com offers the Modvel Premium Supportive Knee Brace for $4.97 via coupon code 8128MO . Free shipping. 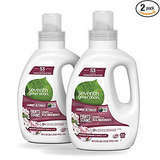 Amazon.com offers the Seventh Generation Concentrated Laundry Detergent, Geranium Blossom & Vanilla, 40 oz, 2 Pack (106 Loads) for $21.82 via coupon code 7Glaundry and clip "extra 30% off" coupon. Free shipping. 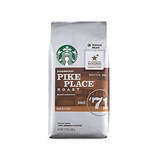 Amazon.com offers the Starbucks Pike Place Roast Coffee Medium Roast Whole Bean Coffee, 12-Ounce Bag (Pack of 6) for $40.75 via clip 10% off coupon and to check out. Free shipping. In 1971, we opened our first store in Seattles Pike Place Market. Reflecting on our heritage inspired us to create this delicious blend with smooth body and subtle flavors of cocoa and toasted nuts. 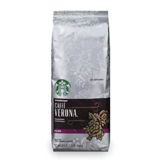 Brewed fresh every day in our stores, it?s a rich, satisfying and balanced cup. Pike Place is a registered trademark of The Pike Place Market PDA, used under license. 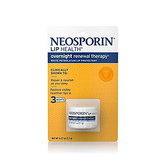 Amazon.com offers the Neosporin + Pain Relief Dual Action Cream for $7.97. Free shipping on orders over $25. 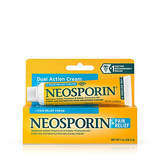 Neosporin + Pain Relief Cream provides dual antibiotic infection protection and soothes painful minor cuts, scrapes, and burns. 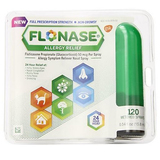 Using first aid antibiotics neomycin and polymyxin B and pain reliever pramoxine hydrochloride, this cream from the number-one doctor-recommended brand not only helps fight infection for 24 hours, but also soothes and reduces pain with maximum-strength relief. 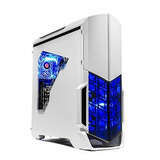 Newegg offers the SkyTech Archangel Desktop(Ryzen 2600, RX 584, 8GB, 500GB) for $599.99. Free shipping. Features: Why settle for mediocrity? Leap forward into SkyTech Archangel AMD series with the newest architectures from AMD Ryzen CPU and Radeon Graphic card. 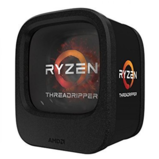 Powered by AMD Ryzen 2600 Chipset, this 6-core processor delivers great performance with a base speed of 3.4 Ghz and max boost of 3.9 GHz. 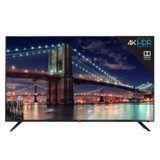 B&H offers the LG C7C 55" HDR 4K UHD Smart OLED TV for $999. Free shipping. Deal ends 4/17. 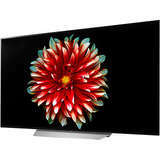 Features: This TV has a 54.6" OLED display for enhanced black levels and virtually infinite contrast. 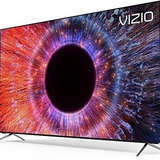 Being HDR10-, Dolby Vision-, and HLG-compatible, it can display a wider range of color with compatible content than non-HDR TVs. 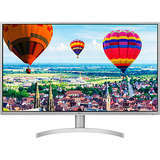 Buydig.com offers the LG 32QK500-W 32'' 1440p FreeSync Monitor for $219 via coupon code EARTH . Free shipping. Features: Watch everything on the screen come to life with vibrant clarity and detail. 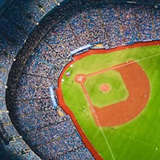 The precise 2560 x 1440 resolution with IPS (In-Plane Switching) assures fast response times and improved color reproduction from virtually any angle. Walmart offers the Tzumi Wireless Charging Mouse Pad and Rechargeable Wireless Mouse for $10. Free shipping. 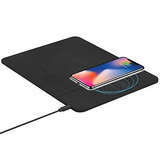 Features: Charge any wireless charging device at your convenience (even those with a case) and enjoy the smooth movement of the rechargeable mouse on the pad’s faux-grain leather surface. Clean the clutter from old charging cables and never be without power. 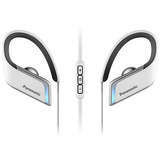 B&H offers the Panasonic WINGS Wireless Bluetooth Sport Earbuds for $29.95. Free shipping. Features: The white WINGS Wireless Bluetooth Sport Clip Earbuds with Mic & Controller from Panasonic are IPX5-rated for water and sweat resistance, and feature 12mm neodymium drivers for deep, rich bass, and bright, natural treble. 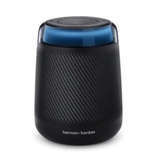 By using Bluetooth 4.1, they are compatible with iPhones, iPods, iPads, and Android devices. 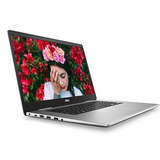 Best Buy offers the Dell Inspiron 13'' 2in1 4K laptop (i7-8565U, 16GB, 256GB) for $699.99. Free shipping. Features: Optimize your work space with this 13.3-inch Dell Inspiron notebook computer. 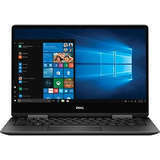 The Intel Core i7 processor and 16GB of RAM run Windows 10 programs smoothly, and its USB 3.0 interface lets you connect peripheral devices. This Dell Inspiron notebook computer has a 4K UHD display suitable for video games and movies. 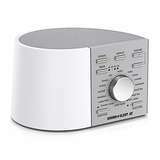 JBL offers the JBL Focus 400 For Women for $7.47. Free shipping. 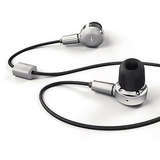 Features: Rock your workout with sweat-proof behind-the-ear sport earphones designed to fit women's ears. TwistLock Technology and FlexSoft Comfort Fit guarantee yurbuds Focus 400 For Women won’t hurt or fall out, while JBL Signature Sound with PureBass Performance amps up your music. Exclusive Quik Clik Tangle-Free Magnets keep cords under control, while a 3-button command center and microphone provides one-touch music, volume, call and voice control for Apple devices. Specially sized for smaller ears and available in fierce colors, Focus 400 For Women will stay with you for every mile, every rep and every ounce of sweat. Hello, small and mighty. 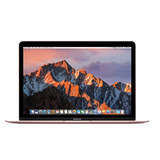 Best Buy offers starting at $899.99 Apple MacBook Pro 13 2017 with No Touch Bar. Free shipping. 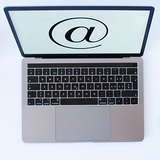 Features: The MacBook Pro is razor-thin, featherlight, and now even faster and more powerful than before. It has the brightest, most colorful Mac notebook display. And it features up to 10 hours of battery life. It's a notebook built for the work you do every day. Ready to go anywhere a great idea takes you. 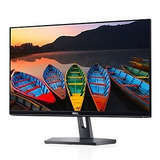 Newegg offers the Acer ED347CKR 34" Curved FreeSync WQHD Ultrawide Gaming Monitor for $399.99. Free shipping. 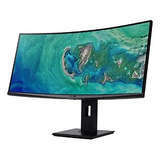 Features: Acer's ED347CKR 34" curved panel monitor with QHD 3440 x 1440 resolution delivers incredible crisp, true-to-life colors, allowing you to enjoy High-Definition entertainment in the comfort of your home. The wide view angle technology lets you share what’s on your screen with friends and family as colors stay true no matter what angle you’re viewing from. Incredible 100,000,000:1 contrast ratio and rapid response time ensure your games, work and movies are smooth and look as epic as possible. 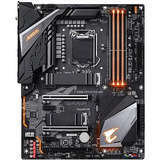 Newegg offers the GIGABYTE Z390 AORUS PRO Intel ATX Motherboard for $184.99. Free shipping. 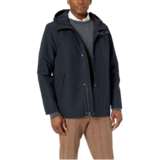 Deal ends 4/18. 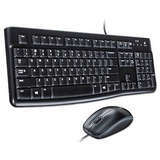 Features: Intel Z390 Chipset, supports Core i7/i5/i3/Pentium/Celeron(LGA1151) Processors; Dual-channel DDR4 4266+(O.C. ), 4 DIMM up to 128GB; 3 x PCIe 3.0 x16 (x16+x8+x4), 3 x PCIe 3.0 x1, 2 x M.2 PCIe3.0 x4; 7.1 Channels Realtek ALC1220-VB, Intel GbE LAN, Intel 1.73Gbps ac WiFi+BT5; 2 x USB3.1, 4 x USB3.0, 6 x USB2.0. Microsoft Store offers the Xbox One S All-Digital Edition for $249. Release Date: 05/07/2019 Free shipping. 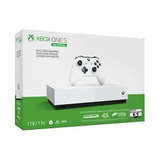 Features: Go all digital with the Xbox One S All-Digital Edition and build a library of digital games that travels with you and is available in the cloud. Take your cloud saves on the go, and enjoy the ability to preorder and pre-install upcoming games so you’re ready to play the moment they launch. Expand your options with Xbox Game Pass, discovering and downloading over 100 great games. 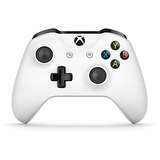 Walmart offers the Microsoft Xbox One Wireless Controller for $36.94. Free shipping. 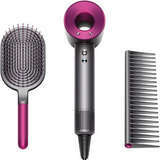 Features: It has a sleek, streamlined design that fits well in your hands, as well as a textured grip that keeps you comfortable. 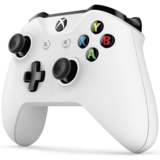 This Xbox One wireless controller has all the standard buttons and you can map these buttons to your liking. 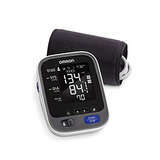 Its impulse triggers deliver fingertip vibration feedback so that you can feel every jolt and crash in high definition. 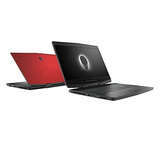 ebay offers ​Alienware m15 Gaming Laptop 15.6" Intel i7-8750H NVIDIA RTX 2070 256GB SSD + 1TB for $1889.99, discount in the cart ,Free shipping. Amazon.com offers the Microsoft Surface Go (Intel Pentium Gold, 4GB，128GB) for $419. Free shipping. Features: Starting at just 1.15 lbs., new 10” Surface Go is our smallest, lightest Surface yet. 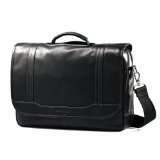 It fits easily in your bag and gives you laptop performance with tablet portability. New 10 Surface Go is perfect for all your daily tasks, giving you laptop performance with tablet portability, all-day battery life, a stunning touchscreen, and the Windows you know. 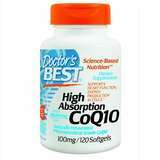 Starting at just 1.15 lbs., new 10? Surface Go is our smallest, lightest Surface yet. 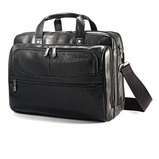 It fits easily in your bag and gives you laptop performance with tablet portability. 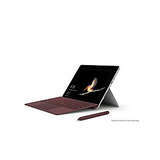 Count on new Surface Go to run Office and other day-to-day software and apps, with a powerful Intel Pentium Gold Processor and up to 9 hours of battery life. Sleek and slim, new Surface Go is designed with a stunning 10? PixelSense Display with touchscreen that's perfect for browsing, working, and binge watching. Surface Go runs the latest Windows laptop operating system and Office 365, and comes with Windows 10 in S mode, to do the things you want with performance that lasts. B&H offers the Apple MacBook 12'' (m3, 8GB, 256GB) for $799.99. Free shipping. Features: MacBook delivers more performance in the lightest and thinnest Mac notebook ever. With new seventh-generation Intel Core processors, 12-inch Retina display,¹ a full-size keyboard, force-sensing trackpad, versatile USB-C port, and all-day battery life,º MacBook features big thinking in an impossibly compact form. 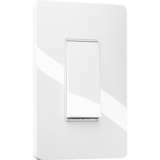 B&H offers the TP-Link HS200 Smart Wi-Fi Light Switch (2-Pack) for $39.99. Free shipping. Deal ends 4/17. 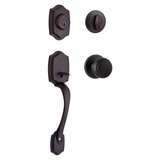 Features: The switches enable you to remotely control your home's lighting. 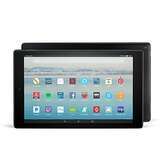 They feature built-in 2.4 GHz Wi-Fi connectivity, programmable scheduling, away mode, and compatibility with iOS, Android, Amazon Alexa, and Google Assistant. 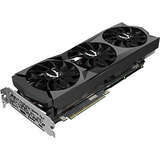 B&H offers the ZOTAC GeForce RTX 2080 AMP Graphics Card for $649.99. Free shipping. 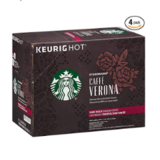 Deal ends 4/16. 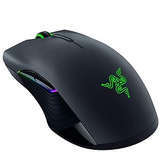 Features: Boost Clock 1830 MHz, 2944 Turing CUDA cores, 8GB 256bit GDDR6 14GHz; 1x USB Type-C, 3x DisplayPort 1.4, 1x HDMI2.0b; supports DirectX 12, OpenGL 4.5, OpenCL, VR ready, SLI. Newegg offers the Silicon Power Elite 32GB microSDHC Card 3-Pack for $11.99. Free shipping. Best Buy offers the Samsung Rugged Protective Cover for Samsung Galaxy S9 for $19.99. Free shipping. 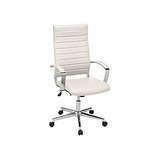 Deal ends 4/16 23:59 CST. 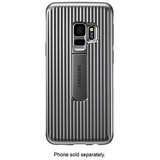 Features: Protect your Samsung Galaxy S9 with this Samsung case. Military-grade material makes up its hard shell to prevent damage from shock and drops, and the kickstand lays flat and recedes into it when it's not in use. This Samsung case has cutouts for the camera and ports that don't sacrifice protection. 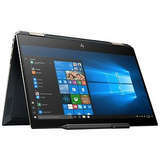 Best Buy offers the HP Spectre X360 13 2-in-1 (4K, i7-8565U, 16G, 512G) for $1049.99. Free shipping. Features: Ideal for streaming content, the 13.3-inch 4K touch display and built-in speakers enhance your enjoyment with gorgeous visuals and rich audio, and an Intel Core i7 processor combines with 16GB of RAM to deliver rapid responses. This HP Spectre x360 convertible laptop lets you write, draw and express yourself on the screen with the included HP Digital Pen. 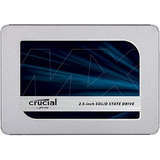 Newegg offers the Crucial MX500 500GB 3D NAND SATAIII SSD for $57.95 via coupon code EMCTYUB56 . Free shipping. Features: Crucial has equipped the MX500 SSD with a SATA Interface, Silicon Motion SM2258 controller, and Micron 3D TLC NAND Flash technology to deliver up to 560 MB/s sequential reads and 510 MB/s sequential writes. 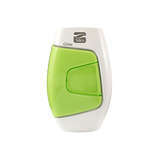 For securing sensitive data, AES-256 encryption and Opal 2.0 are available. 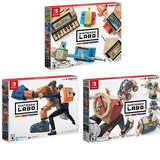 MassGenie offers the Nintendo Labo Robot Kit, Variety Kit and Vehicle Kit Bundle - Japan Import for $67.95 via coupon code NINTENDOLABORK . Free shipping. 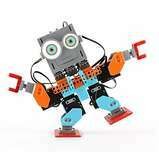 Features: Make your very own Toy-Con Robot suit: fold engineered, pre-cut cardboard and wear it to become a robot in the game! Play as a robot: demolish your in-game surroundings and take on challenges to unlock powerful abilities. 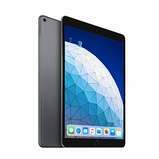 Amazon.com offers the iPad Pro (11-inch, Wi-Fi, 64GB) Silver for $674.99. Free shipping. 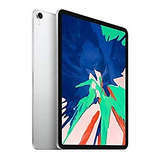 Features: 11-inch edge-to-edge Liquid Retina display with Promotion, True Tone, and wide color; A12X Bionic chip with Neural Engine; Face ID for secure authentication and Apple Pay; 12MP back camera, 7MP True Depth front camera; Four speaker audio with wider stereo sound; 802.11ac Wi-Fi and Gigabit-class LTE cellular data; Up to 10 hours of battery life. 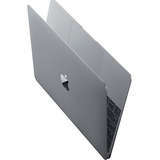 Best Buy offers the Apple MacBook 12'' (m3, 8GB, 256GB) for $849.99. Free shipping. Features: MacBook delivers more performance in the lightest and thinnest Mac notebook ever. With new seventh-generation Intel Core processors, 12-inch Retina display,¹ a full-size keyboard, force-sensing trackpad, versatile USB-C port, and all-day battery life,º MacBook features big thinking in an impossibly compact form. 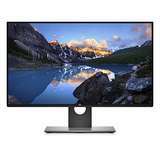 Dell Home Systems offers the Dell UltraSharp 49 Curved Monitor: U4919DW for $1282.49. Free shipping. 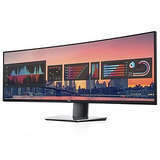 Features: A revolutionary 49-inch dual QHD curved monitor with ultra wide views, multitasking features and seamless connectivity for an immersive work experience. 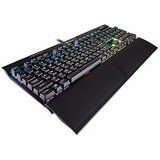 Amazon.com offers the CORSAIR K70 RGB MK.2 Mechanical Gaming Keyboard for $99.99. Free shipping. Features: The CORSAIR K70 RGB MK.2 is a premium mechanical gaming keyboard built to last. Equipped with a lightweight durable aluminum frame and 100% CHERRY MX gold-plated contact key switches, it boasts the reliability and accuracy you demand. Walmart offers the Dell 24 SE2419H IPS Monitor for $129. Free shipping. Features: Brilliant from every angle, No matter where you sit, colours stay accurate and consistent across the wide 178°/178° viewing angle thanks to in-plane switching technology. B&H offers the SanDisk Extreme 1TB Portable SSD for $142.99. 500GB for $99.99. Free shipping. 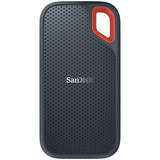 Features: The rugged SanDisk Extreme Portable SSD delivers high-speed transfers with up to 550MB/s read speeds. This makes it perfect for saving and editing hi-res photos and videos. 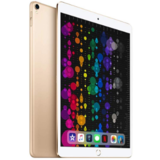 Amazon offers the Apple iPad Pro (10.5-inch, Wi-Fi, 512GB) - Gold for $699.99 with free shipping. 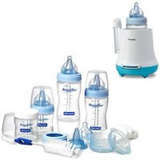 Walgreens offers 20% Off comotomo baby bottle & more via coupon code COMOTOMO . Free shipping on orders over $35. 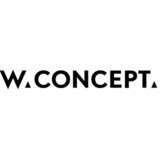 Aden + anais offers 15% off Sitewide via coupon code 15PERCENT . 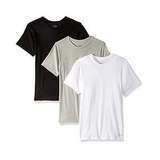 Free shipping on orders over $50. Deal ends 4/21. 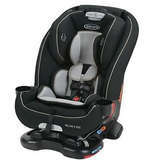 GRACO offers the Recline N' Ride™ 3-in-1 Car Seat for $140.89, via coupon code TRAVEL20 . Free shipping. 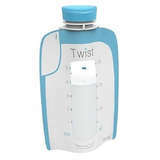 Walmart offers the The First Years Breastflow Bottle Gift Set & Warmer Bundle for $29. Free shipping on orders over $35, or free in-store pickup.